We’re on the move! Come and see what all the buzz is about! Our vision is to prepare and position deserving minority and female-owned businesses to win contracts, increase branding visibility, and to expand their client base through relationship development opportunities. Bring about wider procurement and business opportunities for minority contractioprs. Bulld bridges between minority contracrtors and the entities they work. All the State of Texas agencies their major projects on the Texas Marketplace. Please click here for a complete listing of projects out to bid. For more information on other projects out to bid by the same agencies. Alief ISD Note: You must register as a vendor. Houston Independent School District NOTE: You must register with HISD to gain access to current opportunities. Port of Houston Authority Note you must register as a vendor for the Port. Texas Department of Transportation (TxDOT). Goldman Sachs 10,000 Small Businesses is a program for small businesses that links learning to action. Through the program, participants will gain practical skills in topics such as negotiation, marketing, and employee management that can immediately be put into action. In addition, they will receive the tools and professional support to develop a strategic and customized growth plan that will take their business to the next level. For more info click here. Founded in 1964, SCORE (Service Corps Of Retired Executives) is a valuable network of 11,000 volunteers who, through 360 chapters nationwide, offer small business entrepreneurs practical business counseling advice at no charge for the Life of Your Business (from conception to profitable growth). For more info click here. Whether you’re starting a business, already up and running, or on the path to growth, the University of Houston Small Business Development Center can help you reach your potential! SBDC’s free business advising and affordable training classes give entrepreneurs and business owners the tools they need for success. For more info click here. The UH PTAC provides no-cost confidential education, advice, and recommendations to help you sell your products and services (including construction) to Federal, State, and Local Government. Our program model is the Three “R”s of Government Contracting – Register, Research, and Respond and it provides a logical series of actions to get you ready to do business with government. We offer a variety of services such as social and economically-disadvantaged certification assistance, how to locate opportunities, solicitation and offer review assistance, contract pricing, and more. Visit our website at www.ptac.uh.edu to submit an application for our services. Welcome to the new generation of contractors. 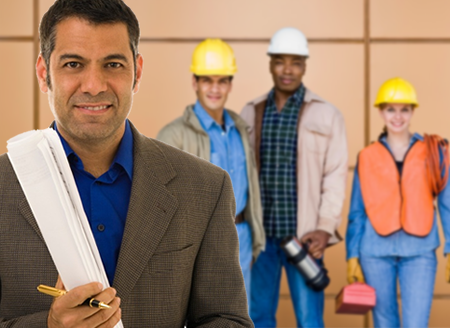 Become a part of Houston’s most dynamic minority contracting association. Our monthly meetings feature opportunities, networking and who’s who in opportunity in the Houston and surrounding area. Join us the 4th Thursday of each month from 6-9.p.m.